The covers for Morning Musume, Takahashi Ai, Berryz Koubou, C-ute, Mano Erina, and S/mileage’s 2012 calendars have been released. Each year there are always calendars for the main groups in H!P for the next year, like for most artists/groups, although this year we have had many lineup changes for two groups so as a result the lineups are really different, the most obvious of them being the Momusu calendar cover which notably only features 8 members, as a result of Ai-chan having her own solo calendar. There will most likely be many who are disappointed (for Ai-chan not being in the cover or Riho being in front) but I am still impressed with how it looks since everyone came out amazingly well: from Riho’s smiling face to Sayu and Mizuki’s cute expressions I really liked how everyone turned out, especially Kanon who seems to be the only one who didn’t simply smile but also threw in a peace sign as well. The white painted wood fence fits in with the casual outfits everyone is wearing and while I would have liked to see Eripon with short hair and the title a bit bigger and not in cursive, it’s still an amazing cover and well worth a look for anyone. Ai-chan got her own calendar this year, and it’s not surprising since the calendars will be released on the day she graduates, technically making her a solo performer/artist, so it’s nice to see that she didn’t just get pushed aside and was instead given a really great way for fans to remember her, and while I would have preferred a picture of Ai-chan smiling I have to admit that the picture of her looking at the camera in front of a white background is enough to make me want to get a copy. Berryz Koubou’s cover is colorful, modern, and basically among the standouts for the H!P calendar releases since it’s a nice and cool way of showing all of the members off, and with each member smiling widely while wearing an outfit with their member color as well as a background with their member color it really looks impressive. C-ute’s cover is a bit similar to Momusu’s since it’s a group picture in front of a wooden fence (with a plant in the corner to complete the theme), and while it’s a bit less casual due to the uniform styled outfits I was impressed with it since everyone is easy to see and with their own hairstyles they all have a nice way of standing out from the rest. Mano’s cover can be summed up with two words: perfection or angelic and it’s easy to see why since it stands out from the rest due to the amazing light effect they added, which gives Mano’s already cute picture an almost heavenly look, but while the picture looks perfect there is a small but very noticeable mistake: the bottom says that the calendar is for 2011. 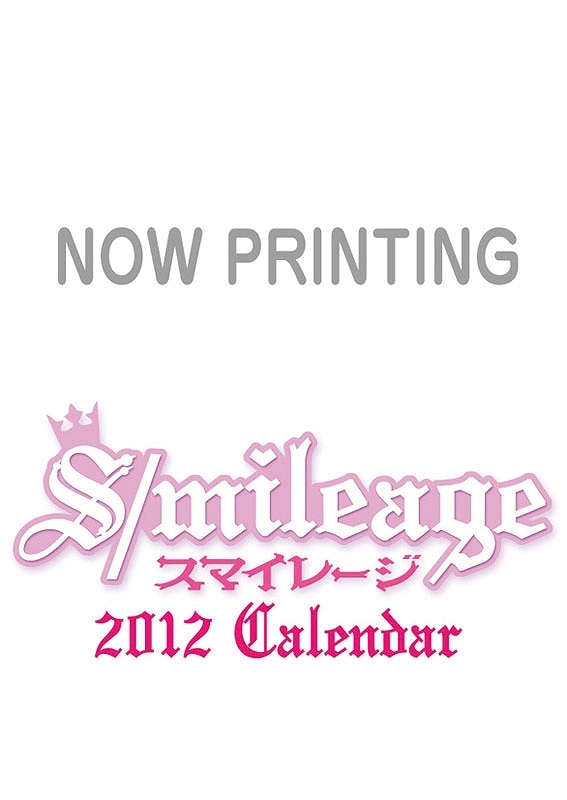 It’s a small mistake that really stands out since everything else apart from that is simply a masterpiece, and while I’m biased as a Mano fan I am still concerned that it might affect sales in one way or another since many might think that it’s last years calendar but hopefully staff caught the mistake and fixed it since everything apart from that is perfect. S/mileage has gone through quite a lot in the past few months, with 5 new sub-members joining the group and one member leaving, and since calendar pictures are usually taken months in advance (as evidenced by Eripon’s long hair) it’s not surprising to see that the cover for the calendar has not been released since they are probably still working on it, and while it’s still not available I hope we get to see every member, sub or full, clearly since it’s a great opportunity for everyone to show off their cute poses. Overall the covers are as always impressive, and while there might be a few mistakes here and there (Mano) I still loved how all of the covers looked since each group/member has a unique style that fits in with their group theme, and while many (including me) wish they could have them all I will probably get Mano and Momusu’s calendars since they are the ones that stand out the most to me. Hopefully everyone has their favorite already picked out from the cover alone, but if not I encourage you to check a few previews of the calendars once they are released since they are a pretty nice addition to any H!P fan’s house, and with large pictures for every month with your favorite group/member it really is a must have for anyone who can get one. The release date is set for 9/30. Mano Erina will be part of the cast for the stage play adaptation of a Korean drama inspired series titled Ikemen Desu ne. The series is a remake of a Korean drama titled You’re Beautiful and she will play the role of NANA, who was played by an AKB48 member in the Japanese adaptation and by an After School member in the Korean version. Like most Mano fans know, she is a pretty big fan of Korean dramas and music so I’m really happy to see that she will be part of the stage play adaptation since it gives her a chance to show off her great acting skills while being part of a Korean inspired play, and while I have absolutely no idea what the drama is about I am still looking forward to seeing a few pictures of Mano in her role as well as impressions from fans once the play starts. From what I can tell Mano will be quite busy since the play starts in October running until the end of November with performances in four cities around Japan, so fans who are interested in going will be able to do so more easily since there will be quite a lot of performances for everyone to attend. Hopefully everyone who is interested in seeing the play will do so once it starts in October but for now I’m happy to see that Mano will be part of the cast. The play will run from 10/8 ~ 20 in Tokyo, 10/24 ~ 11/2 in Kanagawa, 11/6 ~ 9 in Osaka and 11/24 ~ 27 in Fukuoka. Group profile pictures for Mobekimasu’s 1st single titled Busu ni Naranai Tetsugaku have been released. The outfits for each group have a different color: Morning Musume has red, Berryz has blue, C-ute has pink, S/mileage has silver, and Mano has gold, and while there might not be that much of a difference when it comes to the design of the outfit it is still a great opportunity to check out how each member looks. The lineup for Momusu is surprising since I expected to see Gaki in the middle alongside Reina, but it seems that Riho is already being pushed to the front so while it might be a bit disappointing I am glad that everyone got a chance to appear clearly, especially Mitsui who appears to be placing a foot behind Erina to hide her injury. For me the members who stood out here were Sayu, Gaki, Erina, and Mizuki since they all have a great look, and while the general theme of the outfit is the same for everyone it’s still a relief to see that there is at least some variety, such as different boots (in Mitsui’s case she’s the only one with that type of shoe) or different skirts and top designs. Berryz Koubou all look amazing as well, although the Momo and Kumai pairing is somewhat bland since we have seen it in almost every Berryz picture. Despite that everyone looks impressive since they seem to each have a great and unique look, especially Chii, Miya, Momo, and Captain, and since they are the only group with knee high boots it really makes them stand out from among the rest. C-ute’s outfits are among the easiest to see since they are really bright and stand out from the otherwise calm and dark colors, and while the hairstyles and looks remain basically the same I have to admit that I really loved the way each one of them look, especially Airi and Mai. S/mileage have gone through quite a lot of changes in the past few weeks so to me it’s still strange to see a 8-nin S/mileage, but despite that I really like the way everyone looks since the S/mileage “skirt” theme is preserved with them being the only group where all of the members have skirts, and apart from a few hairstyle and accessory additions there isn’t much to say about their outfits since they all have the same look (apart from the tops which have a few different designs), although I really like how great Yuuka, Kanon and Kana look. Mano is the only solo artist in H!P so it’s no surprise to see that her group picture is just an individual profile picture, but I’m glad that we get to see her clearly since her outfit really matches her perfectly and makes her stand out from the others. Being a big Mano fan I am slightly biased toward her but I think I speak for many when I say that she looks beautiful, mostly because of her cute look and the great pose she’s doing, but also due to her golden outfit that really gives her a unique look compared to the other members. Overall the outfits all follow a similar theme, which is not surprising since this is a single for 29 members and giving each one of them a unique outfit would take a lot of effort, but each member manages to stand out in their own way, which is a good thing since the PV will show all 29 of them at the same time making it somewhat difficult to notice someone at first glance. Despite that everyone looks amazing and I’m really looking forward to seeing the full PV so we can see for ourselves how the outfits relate to the theme, and with everyone looking their best this will most likely be an impressive release for everyone to enjoy. The release date is set for 11/16. A preview of the song and of the shooting for Mobekimasu’s PV for their single titled Busu ni Narinai Tetsugaku has been released. For the most part we get to see only a black setting with all of the members dancing, and while it might not be that much of a preview for the PV it is for the song since we get to hear about a minute of it, and to say it simply I’m really impressed with the song. It’s not cute or too mature, it somewhat aims for the middle and has a pretty catchy beat to it that seems to match a common theme for all of the members, which is a relief since it’s a mix of everyone’s images and gives us a chance to listen to a pretty unique song that will most likely be an impressive release. As mentioned before the release date will be in November so Ai-chan was naturally not in the shot with Risa taking over as leader (Mitsui isn’t either, but she’s probably not in it since it’s the dance shot), and while she is still part of the group I have to say that it’s really weird to see a group shot with only Sayu, Gaki, and Reina in the front, as well as S/mileage without Ogawa, but like always the show must go on and it seems that this group will do a really good job since they have 8 Momusu members, 7 Berryz members, 5 C-ute members, Mano, and 8 S/mileage members for a total of 29 members. I really encourage everyone to listen to the song since it’s an amazing release for this group, and while it will probably be a temporary group I am glad to see that we get another H!P group release since having a single with all of the members in H!P is simply the best way for everyone to enjoy a single, even more when there will be 7 versions of the single. Hopefully a full song or PV preview is release since this song sounds simply incredible so far. EDIT: For those curious about the group pictures they included in the video, PON! did in fact add Morning Musume’s group picture twice when they explained the Mobekimasu name:. A new single for all of the Mobekimasu members within H!P has been announced. It will be titled Busu ni Naranai Tetsugaku (Not ugly philsophy/A philosophy that doesn’t get ugly). The single will come in 7 different editions, one regular and Limited A, B, C, D, E and F, which will each respectively feature as a c/w a song by a different group, and all of the editions (including regular) come with a special ticket for a handshake and live event. There was no mention weither the 10th generation members will be participating in this single as a part of Momusu or not (although they should have entered the group by then), but it’s being said that Ai-chan won’t be in this release and that the new S/mileage sub-members will take part in it. When I first saw the news, I have to say that I was very surprised since I didn’t expect seeing a Mobekimasu release this year because of all of the changes H!P groups undertook, from the 9th generation auditions to the S/mileage’s new members,etc… but I can’t help but think that this single may be released because of those events, to promote H!P in general and probably boost sales for all of the groups. Even though we have no info apart from the fact that all of the groups will be participating in this which is already a huge event, as well as the release date and the title, we can still see from the title that means something like Not ugly philosophy that the song will probably be something uplifting and happy to boost everyone’s spirits since it would be kind of weird to have a Mobekimasu release turning out to be a sad or fierce song, even though everything is possible. Apart from that, I’m really excited about getting more information concerning this release, mostly weither there will be a PV for this single or not since it’s an amazing chance to see all of the members together again (this happened back when the song One for All and All for One was released), and I also would like to know weither the c/w’s will be the main song sung by each group or a different c/w for each edition that belongs to a different group. Overall, I’m highly excited about this release since this is a very important event that doesn’t happen very often within H!P, and I’m impressed by the effort UFA is putting into promoting H!P groups right now. Hopefully more details will be out soon so that fans can start reserving their copies since it seems like a perfect release that will please every H!P fan thanks to the special feature of different c/ws, that way everyone can pick their favorite group and reserve a copy of the appropriate edition. The DVD cover for Mano Erina’s Concert Tour 2011 ~Hatachi no Otome 801 DAYS~ has been released. I was surprised when I first saw the cover since at first glance it seems that it doesn’t have that many effects, just a simple shot of Mano singing, but I am very impressed with it since it places Mano as the main point of the cover instead of having her be overshadowed by the title of the concert. The picture of Mano is among the best I have seen of her on stage since it shows her off perfectly while performing, and with the pretty white dress and a smile while holding the mic it really does a perfect job of making Mano stand out. The title on the other hand is somewhat hard to see, and with a few sparkles to cover up the empty space it seems like they didn’t try that hard to add any other effects, which is a bit disappointing since even a few more sparkles would have looked good. Despite that I’m somewhat happy that they didn’t focus that much on the title since Mano’s picture is enough to catch anyone’s eye, and while a few more effects would have helped I think the cover is pretty good as it is. Hopefully everyone who would like to check out the DVD does so by getting a copy since this is a must have for any Mano fan. The release date is set for 9/21. The full title for Hello! 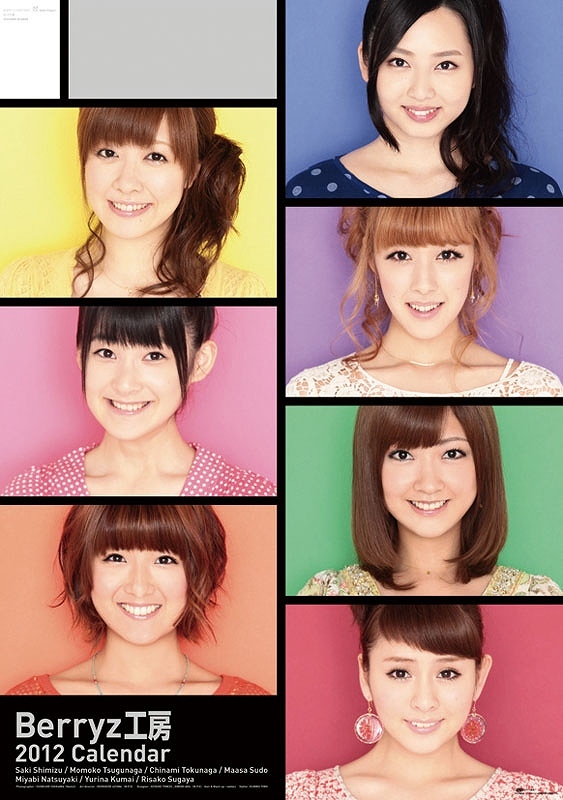 Channel’s sixth release has been revealed to be Hello Channel vol.6 ~Morning Musume Takahashi Ai Sotsugyou Special~. Since this will be Ai-chan’s last appearance in the mook it’s not that surprising to see that she is the main theme since almost every other release for Hello! Project has some kind of mention of her name in honor of her, and while it might not be that creative to name every release “Takahashi Ai Graduation Special” it’s still a great way for everyone to remember the large impact she has had in Hello! Project with this title. Apart from the title there isn’t much else to update about since most of the activities that I mentioned last time will be included, along with a mention of the new S/mileage “sub” members and the regular activities, although I expect to see a slight focus on Ai-chan throughout the entire release. Hopefully everyone can reserve their copy since this will most likely be the most important Hello! Channel release yet. The release date is set for 9/23.